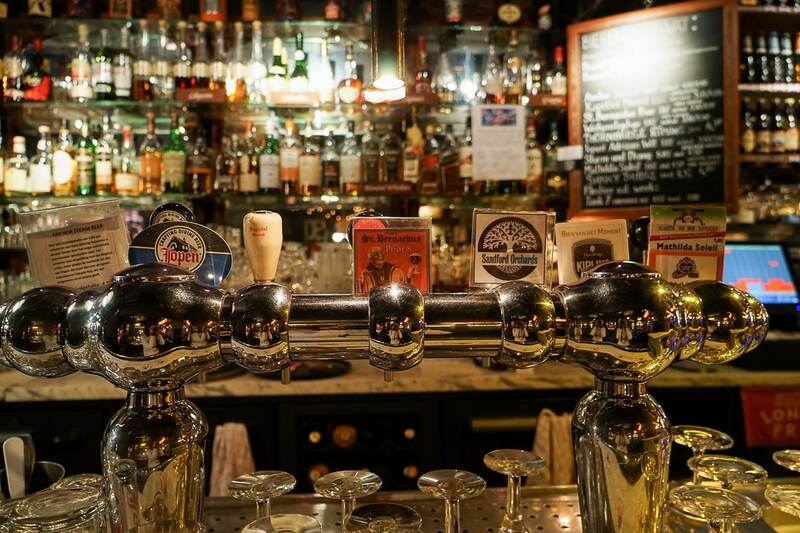 Imagine a place with a huge head-­turning selection of diverse European beers within a museum­-like­environment. Then, simultaneously, make the place kind of compact, with a cosy touch (good music and artsy decoration), add friendly staff, and put all the glassware on one big display­ wall behind the bar. So here we are at the Bierspeciaal Café De Paas in Den Haag. Some 175 kinds of beers in bottles and 12 from the tap are the main fare and customer magnet. Next to them are different whisky blends and malts, 33 types of Belgian and Dutch jenever and even selected cognacs, armagnacs, and calvados are waiting to be tasted. This beer bar has existed since 1973. The current owners, Frank and Paul, have had it since 1993. I can guess your next question: Where do I start? There are two easy ways to tackle De Paas. Either wave to the bartender and have a chat about what you usually like/enjoy and let yourself be taken on a beer-­discovery surprise. Or you can go with experienced and knowledgeable friends who do the consulting and selecting for you. In case you have not eaten earlier, it is wise to order one of the snacks — the wooden plank with a Dutch or Belgian cheese selection fits perfectly with all types of beer. Once you have a full glass, cut cheese blocks, and fine company, don’t forget to ask for the thick paper menu. Browsing through the names depicted with the original label is fun on its own. 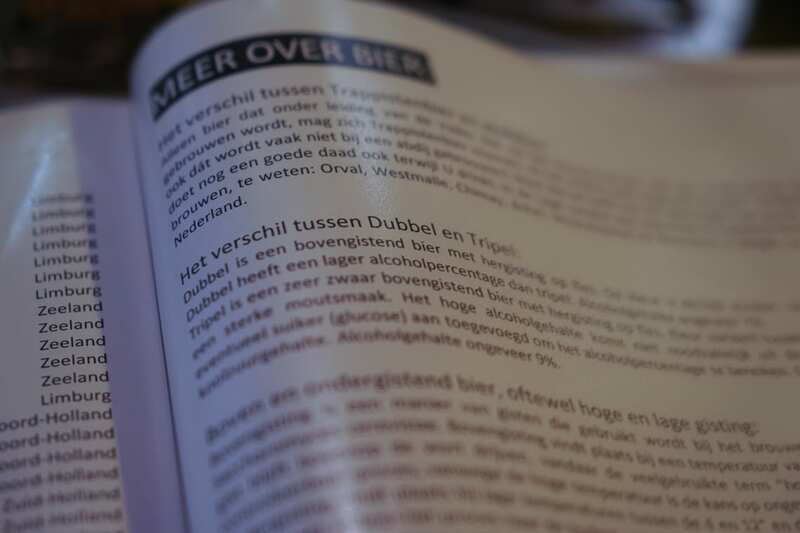 Wondering how the Belgian beer “Delirium” tastes (the label is decorated with flying rose elephants) or seeing the Westmalle Trappist tripel (with 9,5 percent alcohol) is part of the beer exploring­ experience. Not to miss is the outdoor cafe­, which (when weather allows) offers a lovely terrace under the Dutch sky. In a nutshell: this place is a real gem for beer lovers or for anyone curious enough to experience an authentic bar in the centre of The Hague. Bierspeciaal Café De Paas is located at Dunne Bierkade 16a. The bar is open daily from 3pm to 1am and on Saturday and Sunday from 2pm to 1:30am. 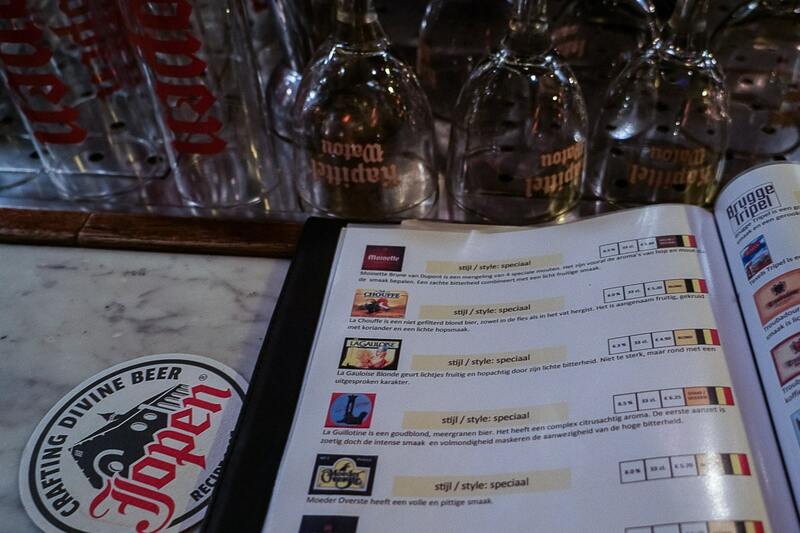 Their current beer menu can be found online.